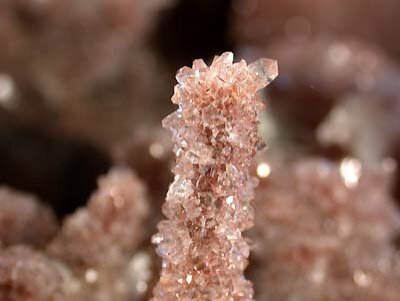 Ce site présente des mineraux français et étrangers qui sont disponibles à la vente. 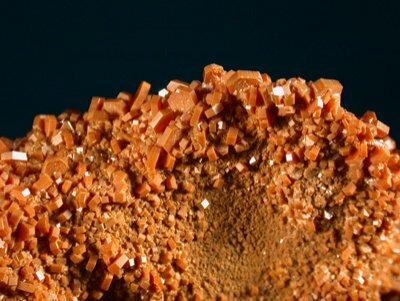 Pour tout renseignement, n'hésitez pas à nous contacter au mail ci-dessous. 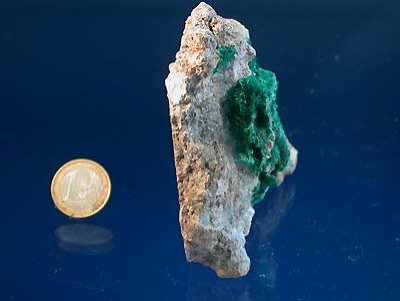 Les prix indiqués sont port non compris. 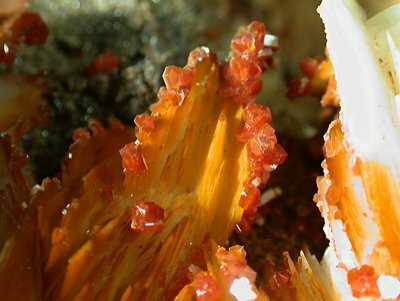 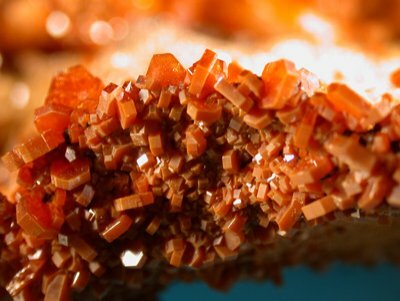 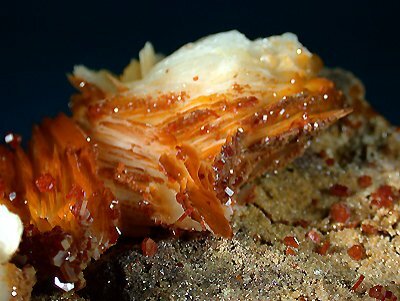 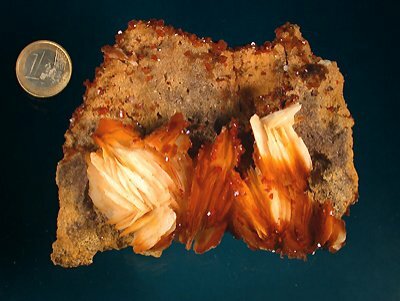 which presents some vanadinite crystals. 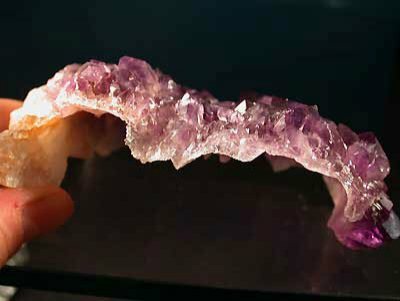 These one are brilliant. 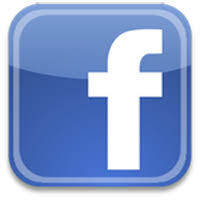 Iit is classic but remains very aesthetic. 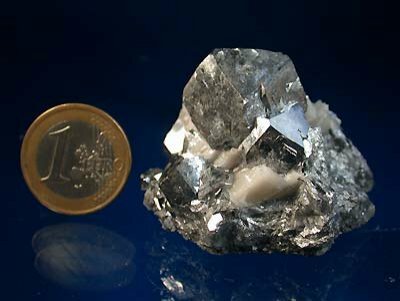 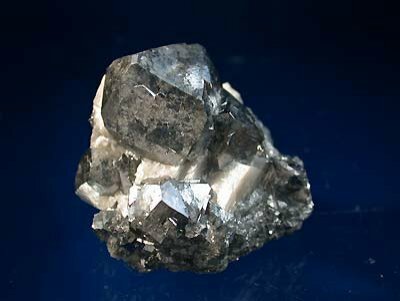 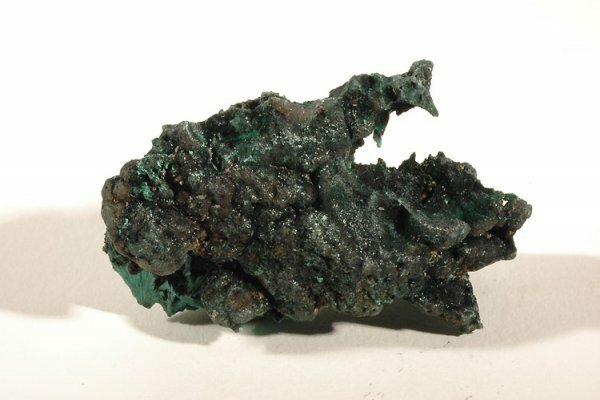 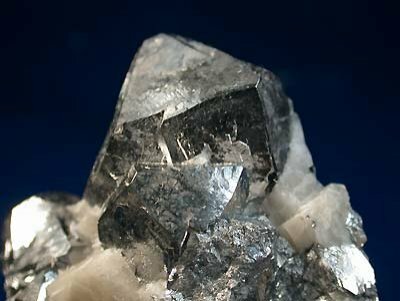 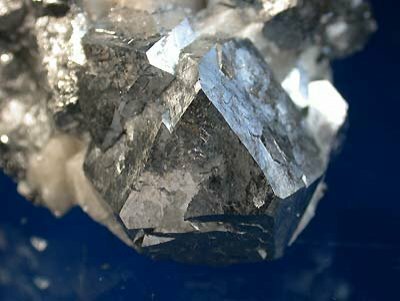 The skutterudite is a cobalt arsenide (sometimes with Ni). 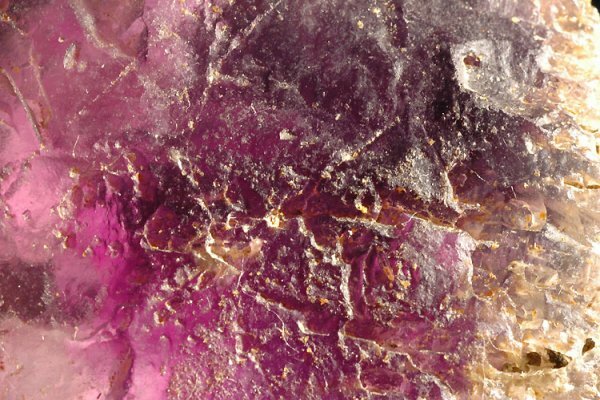 The specimen we propose here offers a metallic brightness. 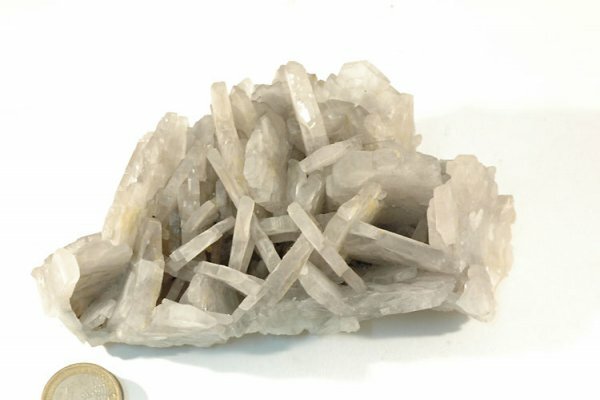 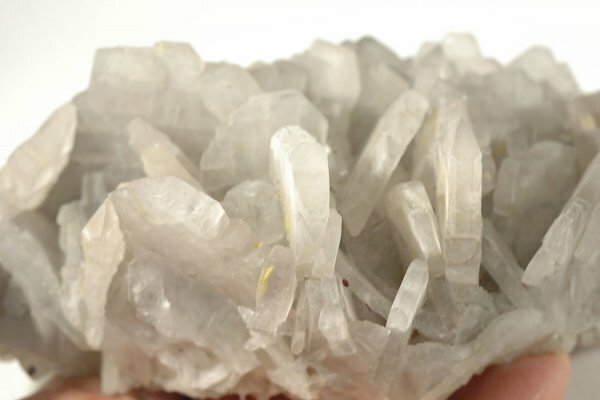 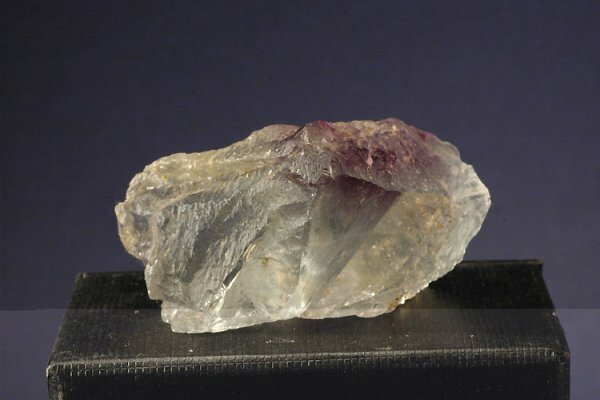 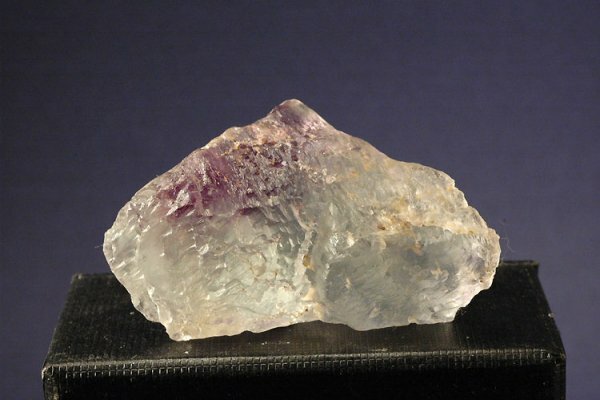 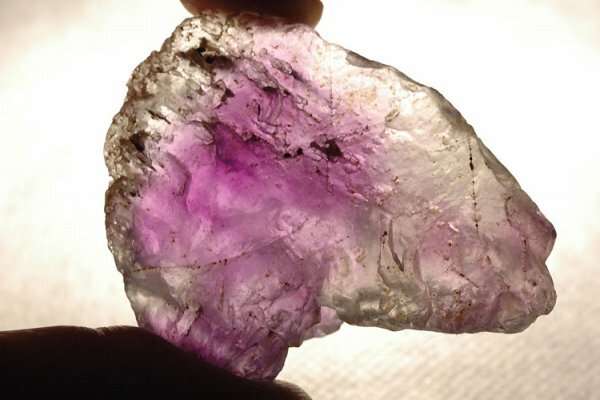 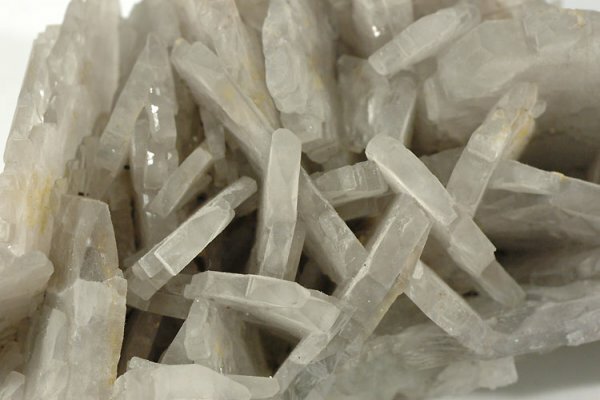 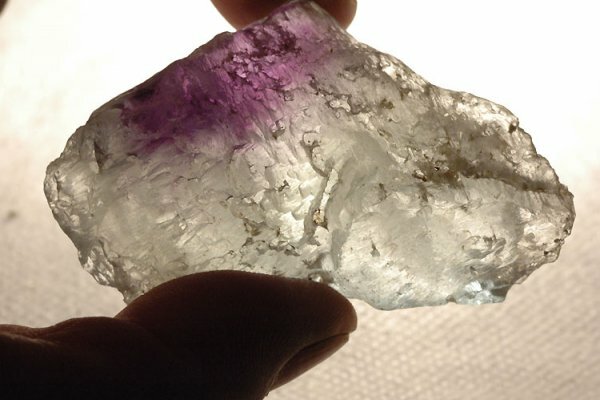 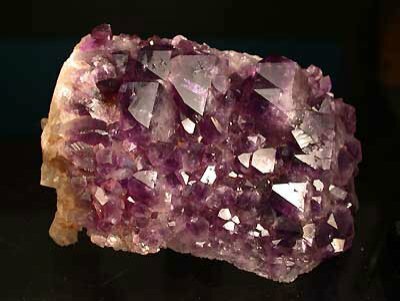 The specimen offers a good display and the main crystal is well shaped. 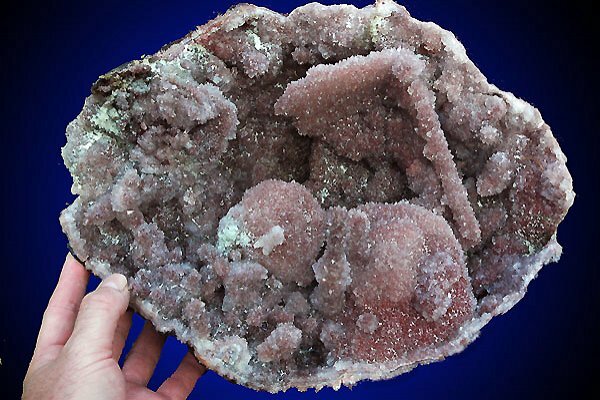 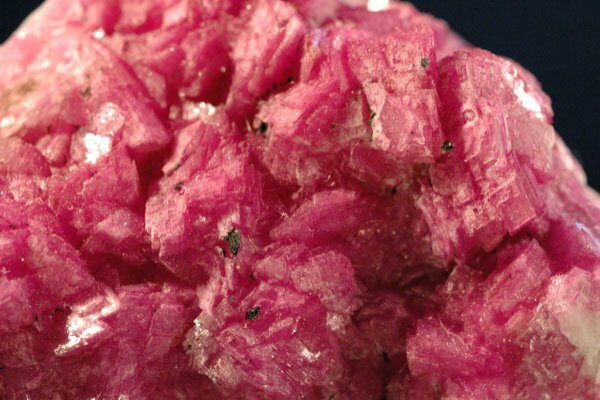 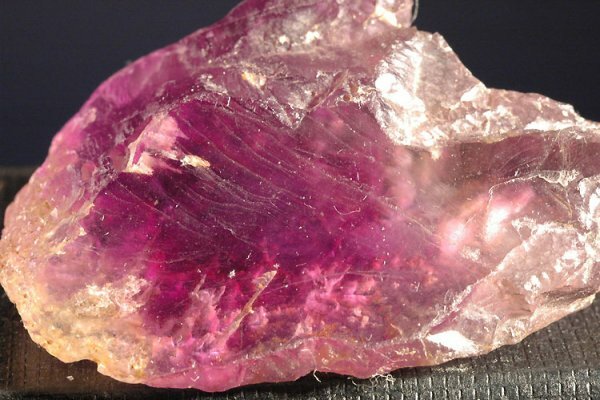 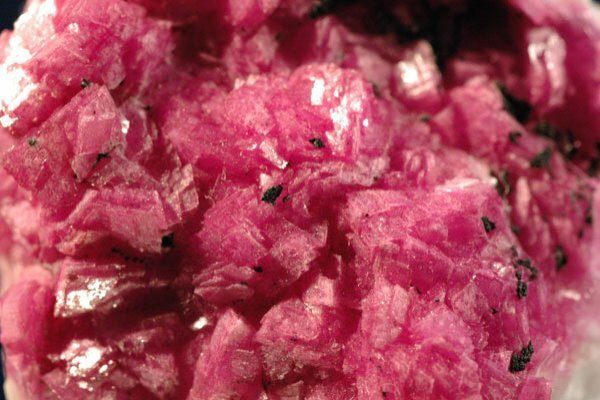 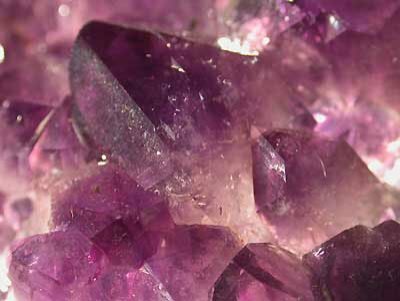 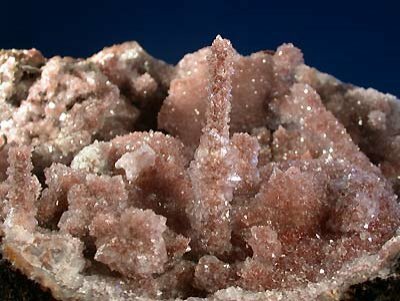 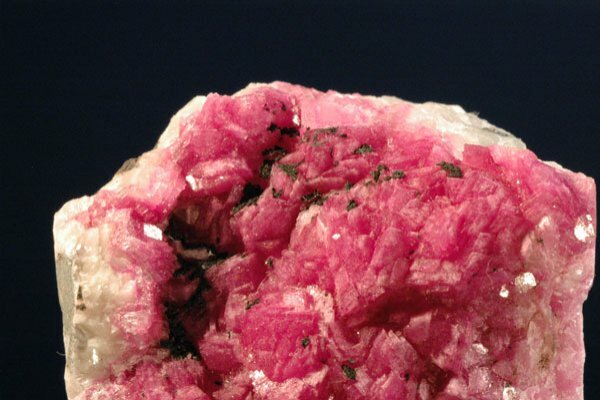 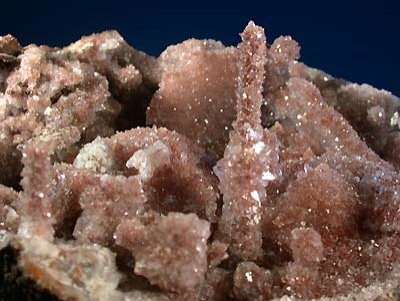 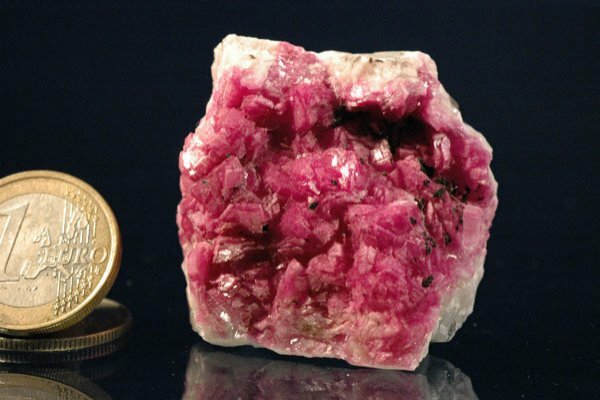 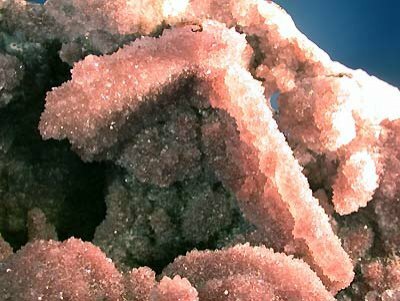 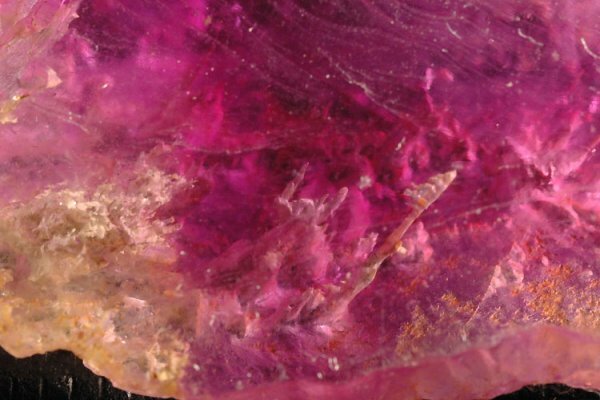 This specimen shows strong pink crystals. 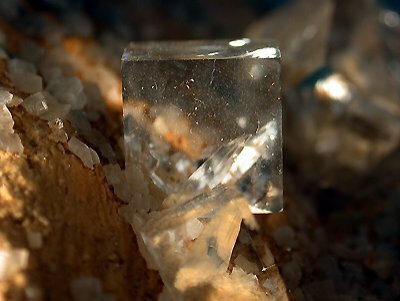 These ones can reach 1 cm long. 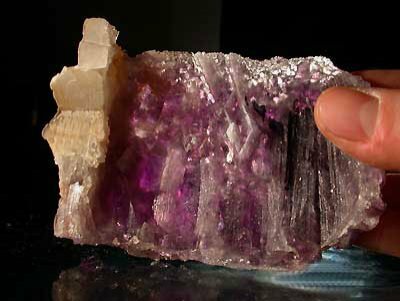 The rear of the specimen is sawed. 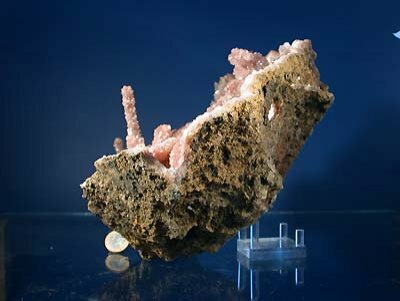 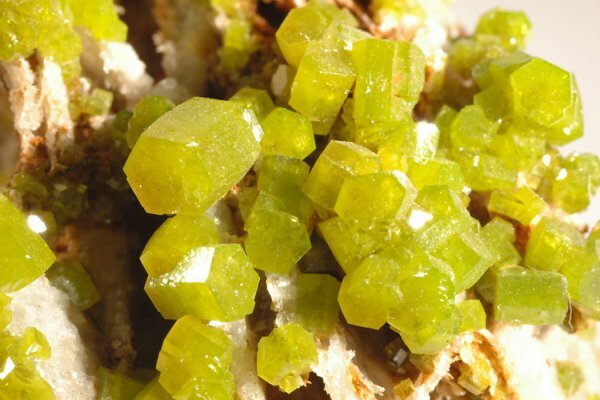 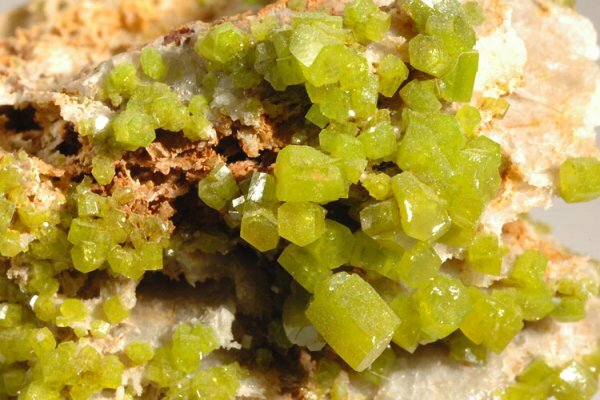 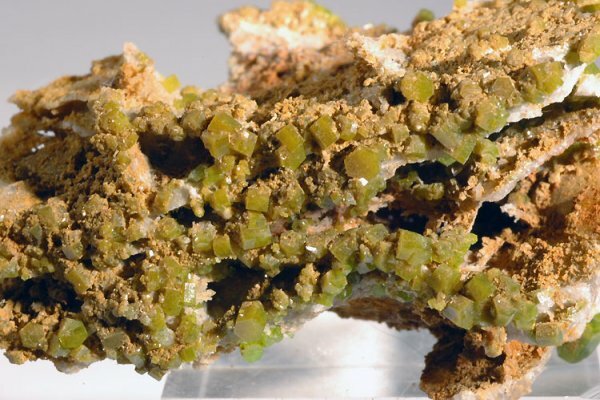 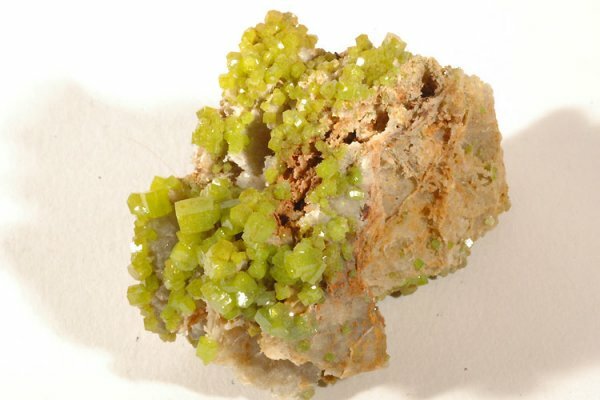 Interesting mineralogical specimen because all the crystals are directed in the same direction. 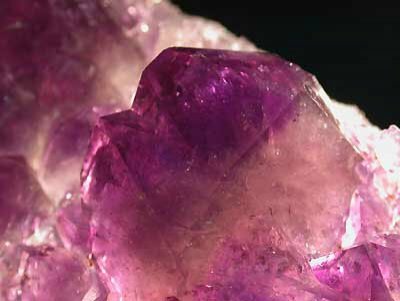 Besides, we distinguish some citrine colored zones, using transparency. 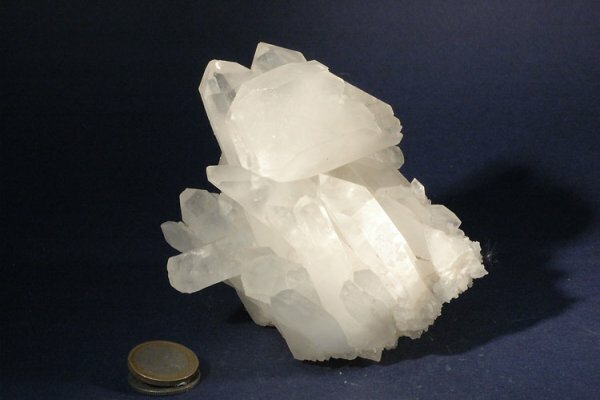 This crystallizations had grown on a big monocrystal (of quartz?) 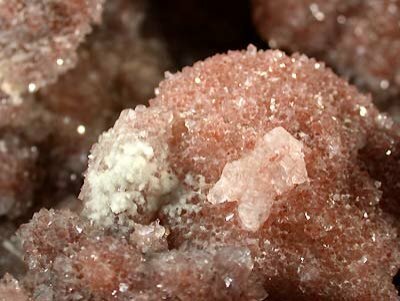 which was then dissolved. 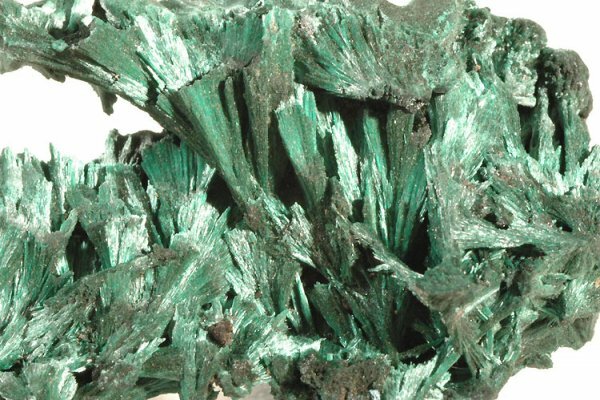 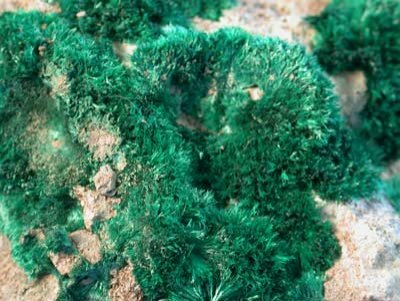 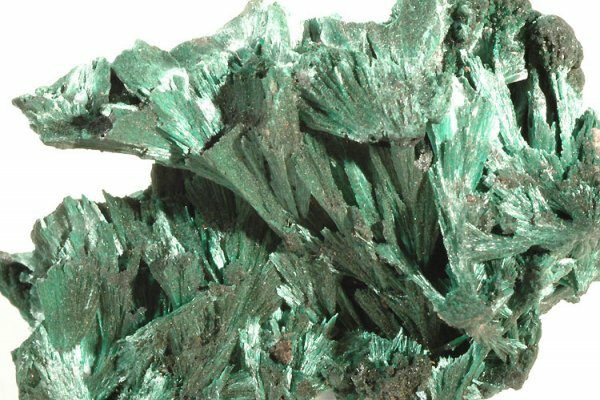 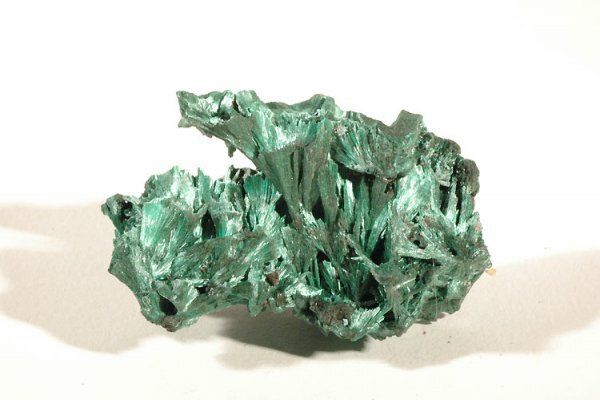 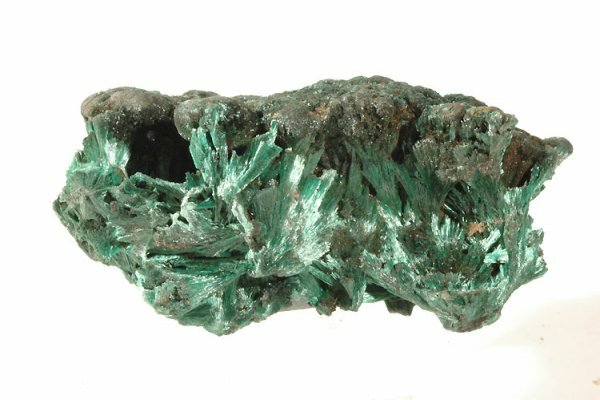 The Kakanda area provides numerous malachite cristallizations. 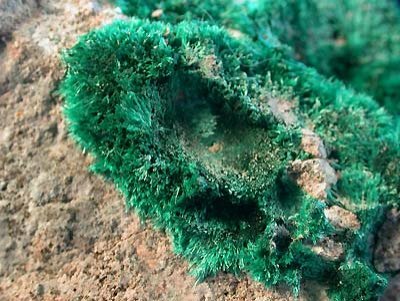 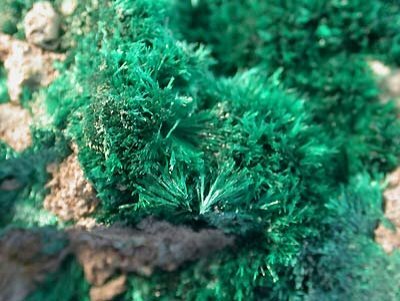 We propose here, a specimen which presents malachite needles, disposed in stars on the matrix. 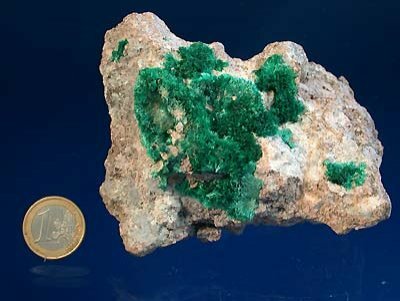 A good contrast is due to the good deep green color on a light matrix.